Synthetic fibres to effectively handle the properties of concealer giving you the best results from your product. This concealer brush is tapered to allow your product to be placed in smaller or difficult to reach areas of the face. The application of concealer to the red and “grumpy” areas of your face or to use with concealer to brighten areas. Place the flat of the brush into your concealer, wipe off the excess product onto the back of your hand. For your “grumpy” areas, press the brush onto the area. For red or discoloured areas slide the brush gently over skin in layers. And to brighten under eyes place concealer under eyes with the brush and pat in. This brush can also be used for contouring, use the flat of the brush and apply your concealer onto all areas for highlighting. To enhance your lip shape, apply excess concealer with the brush at the corners of your mouth around the lip line. 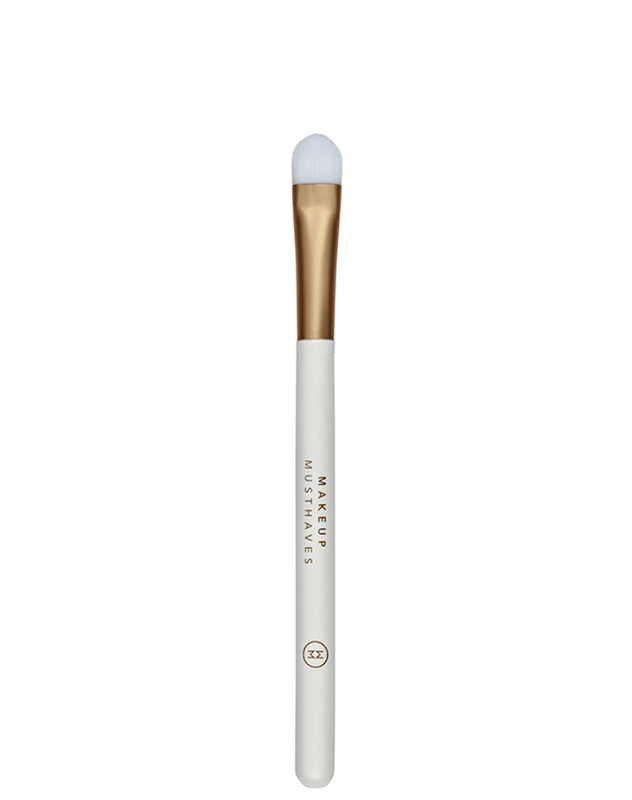 This brush can also be used to prime your eyelids by patting with concealer over the eyelid. This brush can also be used to intensify your eyeshadow. Wet the brush, and press the flat of the brush into your eyeshadow, pat the brush firmly over the eyelid where you want to add colour.